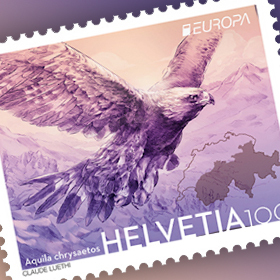 Each year the members of the Association of European Postal Operators (PostEurop) issue stamps on a common theme to emphasise both the importance of philately and the cooperation of the postal operators. By releasing the stamps, the member countries draw attention to their common roots of European history and culture, and to common future goals. 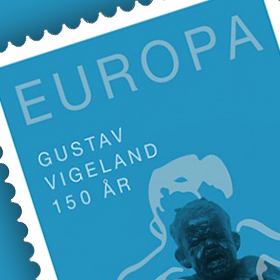 The “EUROPA stamp” is one of the most popular themes for collectors and issues bearing the official logo are among the most sought-after new stamps. The theme for 2017 is castles. 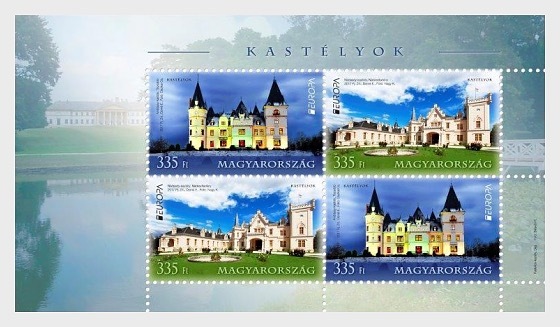 Seventy thousand copies of the Hungarian miniature sheet consisting of two pairs of stamps designed by the graphic artist Eszter Domé were produced by the banknote printing company Pénzjegynyomda Zrt. 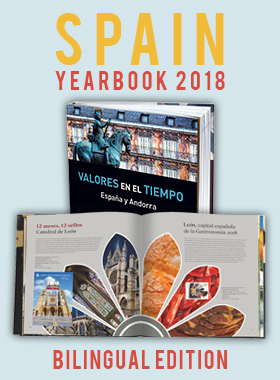 The new issue will be available at first day post offices and Filaposta in Hungary from 5 May 2017, but may also be ordered from Magyar Posta’s online store.